Monte Carlo Masters Quarterfinals: What time does Rafael Nadal play against Stan Wawrinka? On Friday, Rafael Nadal will play his quarter-final match at the Monte-Carlo Rolex Masters against 2014 champion Stan Wawrinka, who raced past No. 15 seed Gilles Simon 6-1, 6-2 in 82 minutes. Match time: Approximately 1 PM local time / 7 AM EDT – New York, Montreal / 12 noon – United Kingdom / 1 PM CET – Spain, France, Germany, Italy / 9 PM AEDT – Melbourne. To convert to your local time, use this website. Rafa has a 14-3 record against Wawrinka, but it was Wawrinka who won their last clay-court meeting, in the Rome quarter-finals last year. Stan, he’s always very dangerous opponent and he’s a great player. I know when he’s playing well, it’s difficult to stop him because he’s able to hit so hard the ball from every part of the court. He’s able to serve so good, too. We’ll see. Will be a tough one. I only can think about myself. I have to continue the same way as today, fighting for every point, playing with my strategy. We’ll see if I am able to play like today or maybe a little bit better. Rafa is looking to win his first title of the season this week, and claim a record-equalling 28th ATP World Tour Masters 1000 crown, which would be his first in almost two years, since lifting the trophy in Madrid 2014. High bounce on the ball, a good length of shots and drop shot will do great and yes most important position urself better for forehand……. All good positive comments supporting Rafa as they should be, this is the Rafanadal fan page after all.The comments from Rafa are typical, face each match as they come. Vamos for tomorrow as always. Good luck Rafa! You never know which Stan is going to turn up! The aggressive Stan or the not that committed to win Stan! 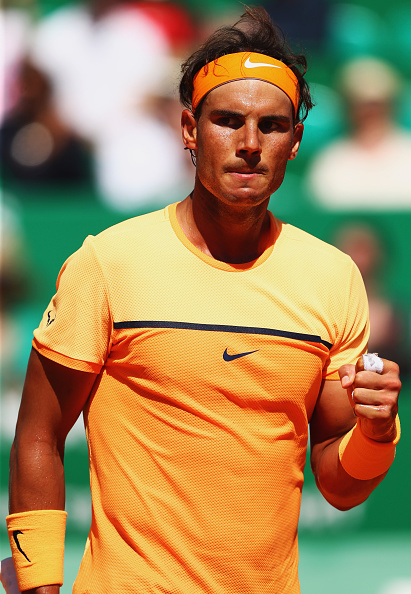 Either way Rafa will conquer. Vamos Rafa! It starts here Rafa. These guys you used to own, you need to own them again! Gotta respect Stan though… He’s keeping your RG trophy warm for you. Play with confidence and belief, you have the support of millions. VAMOS RAFA.💖. U R THE BEST.🌷. JUST KEEP PLAYING THE SAME WAY AS YOU ALWAYS DO. ALL THE BEST.🌷 FOR THE QUARTER FINALS. JUST THE REMEMBER YOU ARE THE BEST.🌷. STAY FIT N HEALTHY.